There’s no better place to find the frame – and look – that is just right for you. 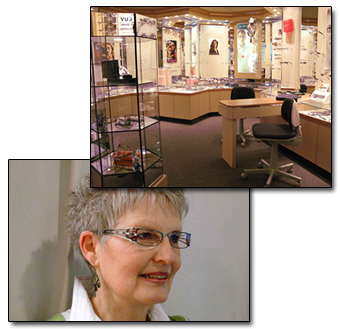 Our staff can even help you choose a design and color that is just right for your face and eye color. As your one-stop optical centre, we also provide a complete range of name-brand sunglasses, lenses, children's frames and lenses and safety glasses. Plus we have an on-site edging lab to handle lens fabrication. Fitting and repairs are onsite.